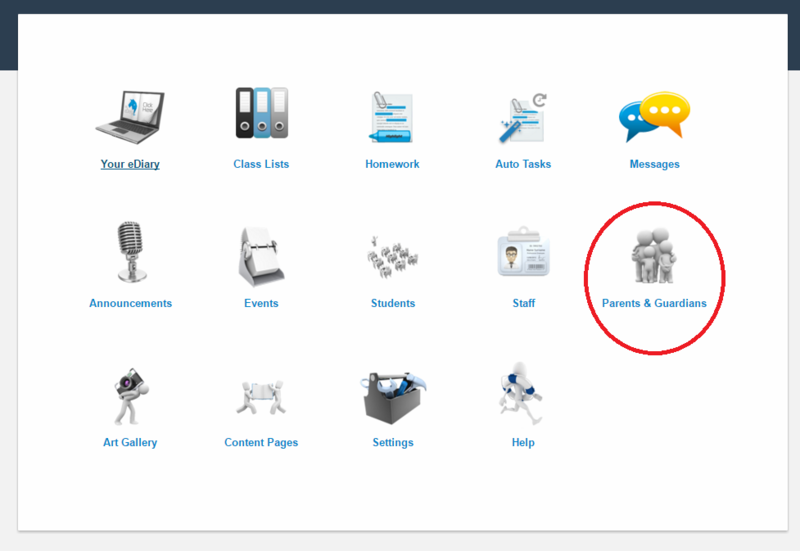 Click on the 'Parents & Guardians' button from your MyEDiary dashboard. From the Parents & Guardians page, click 'New Parent/Guardian'. Leave the 'Send invite now' option ticked to send an invitation email straight away. Now click 'Save'. 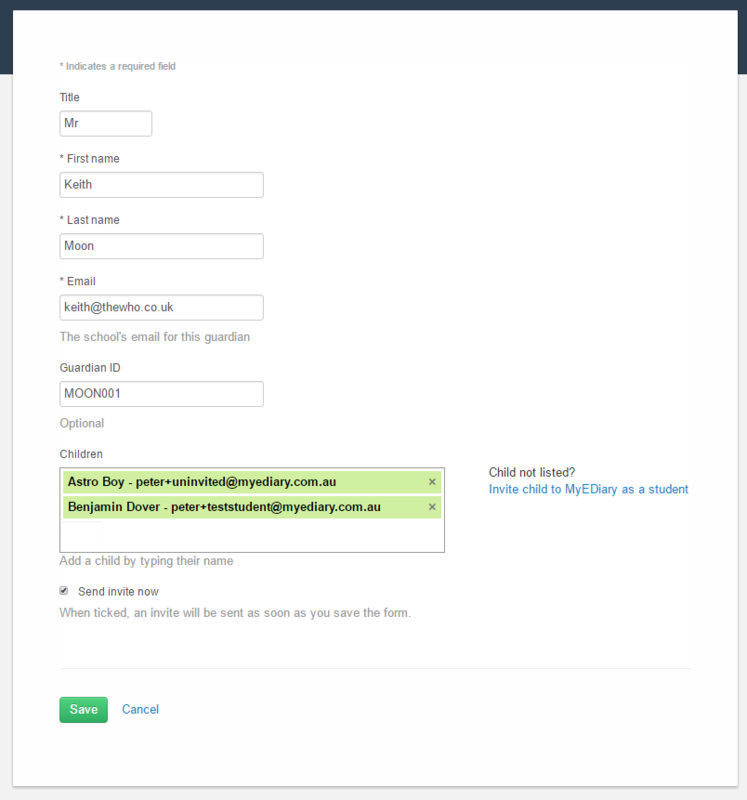 A confirmation screen will be shown for the parent/guardian you have just created.